After 110 hours logged in FIFA 18 on Nintendo Switch and giving it a pass (for the most part) thanks to the game being the first FIFA title on Nintendo’s hybrid, I was hopeful of something more from FIFA 19. Unfortunately, besides the addition of a couple of gameplay changes seen in this year’s game on the other consoles and the introduction of online friendlies, not much has changed between the two titles. So yes, if you’ve played FIFA 18 on Switch, you'll find few differences in this year’s iteration of the long-running franchise. 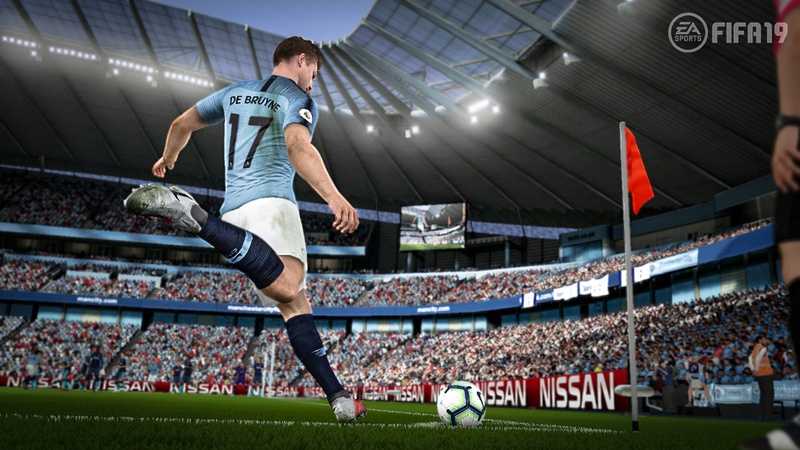 Bizarrely, some new gameplay changes in FIFA 19, like timed finishing, have made their way into the game on Switch, though other things from past entries — like suggested subs and being able to move to a player’s left and right when taking a throw in — have not. It’s an odd decision, and is ultimately disappointing considering where we’re at with the game on other consoles and PC. Some of the biggest issues I had with FIFA 18 on Switch remain in FIFA 19. Some of the biggest issues I had with FIFA 18 on Switch remain in FIFA 19, like imprecise passing, a lack of player movement in the front third, and the outdated way of controlling goal celebrations. 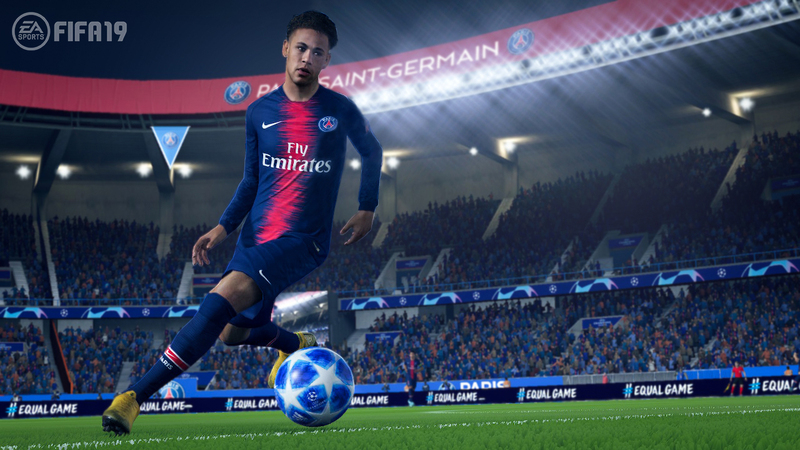 Of course, the game isn’t running on the same engine that FIFA 19 is on Xbox One, PS4, or PC, though at this stage I find it hard to stomach the fact some of the finite changes that could be made to the game to make it feel closer to that experience have not been implemented as of yet. Some of the smaller things, like suggested substitutes or the ability to move for throw ins, would make the game not feel so massively outdated. Yet here we are. 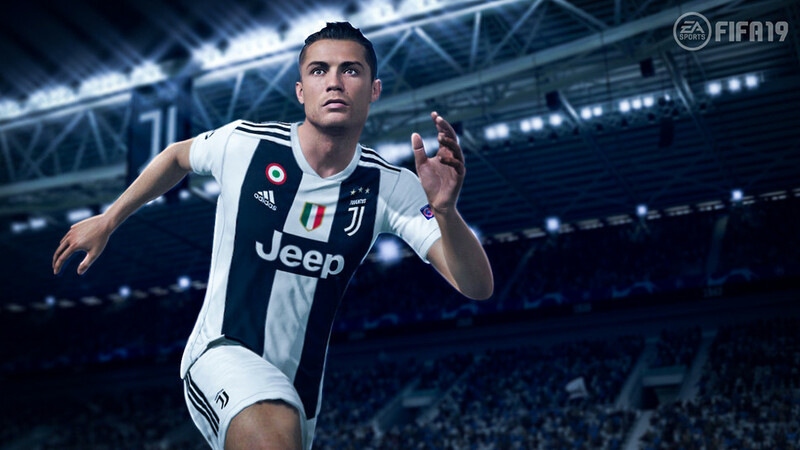 The biggest new addition to FIFA 19 across the board is the introduction of the UEFA Champions League and Europa League, and that also finds its way to Switch. New commentators Lee Dixon and Derek Rae do a fine job, and it’s nice to finally have the official European competitions in the game. They certainly add to the feeling of a big match atmosphere, especially in career mode — which is enhanced tenfold through the introduction of the official licensing of the biggest European club competitions in the world. It’s genuinely saddening, and comparing the modes available on the full-fat experience and the Switch version further showcases just how far behind the latter is. 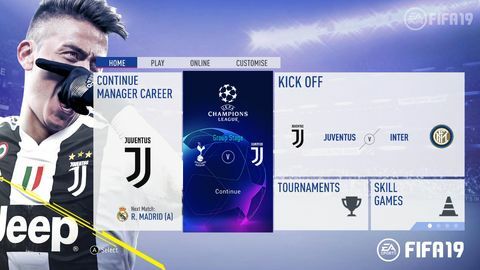 That’s about it for career mode on Switch, though, with it still not including the new negotiations system that has been in the other console versions of FIFA since last year’s game launched. Similarly, one of the other big new inclusions — enhanced game plan tactics — also doesn’t find its way over, making for a fairly unchanged experience in one of the only main modes on the Switch version of FIFA. It’s genuinely saddening, and comparing the modes available on the full-fat experience and the Switch version further showcases just how far behind the latter is. The new kick off modes, like survival and no rules, are included in this year’s iteration of FIFA on Switch, though. It makes sense given the portability of the console, and I’m really glad to see the evitalised mode make its way over. The other big addition that was lacking in last year’s FIFA on Switch was, of course, the online friendlies game mode. You’re finally able to invite mates on Switch to play online now, and it’s great fun and works well. It can, at times feel a bit clunky, though — with a small in-game notification popping up to tell you to go to a specific hub in order to find the invitations area to join a game — and I wish there was a button shortcut that could be pressed in order to jump straight to the team selection screen like on other consoles. That said, I’m still happy to see this incorporated into the game. FIFA Ultimate Team is relatively unchanged on Switch this year, and I’m intrigued to see how it plays out in terms of player count and interaction. Last year’s transfer market was tiny, and only continued to decline as we approached the end of the football season and the release of FIFA 19. With more Switches out in the wild, I’ll be watching the space with a keen interest. It does work well, though the inflated transfer prices for players does indicate that FIFA 19 on Switch will likely be the most expensive and least engaging way of playing Ultimate Team this year. FIFA 19 on Switch is a disappointing, relatively unchanged experience from last year’s game. And at this point, I fail to understand how it’s still lacking some of the core improvements made to the series over the last few entries. The gameplay feels like a combination of FIFA 16 and 18, and besides the small gameplay changes and introduction of the Champions League and Europa League licenses, it’s without a doubt the worst way to play FIFA 19. If you can look past all of that, though, there’s still a fairly fun game beneath all of the papered-over cracks. It’s just nothing too special, especially considering the major leaps the other versions have been making over the last few years. While the full-fat FIFA 19 experience delivers in spades, the Switch version feels dated and is lacking in key gameplay improvements — even some from years ago. Unfortunately, it’s easily the worst way of experiencing FIFA 19 this year. Ups Introduction of Champions League and Europa League licences add to the feeling of big match atmospheres and occasions. New kick off modes are great. Online friendlies finally find their way to the Switch version (and work well). Downs An extremely stripped back version of FIFA 19. Lacking in some key improvements across all modes. Career Mode is drab. FUT suffers thanks to the lower player count. Gameplay feels very, very dated. No 'The Journey' mode.